September is National Healthy Aging Month, a month to focus on the positive aspects of growing older and improving physical, mental and social well-being. Here are 8 tips for staying happy and healthy as you age! Regular exercise is one of the best things you can do for both your physical and mental health! Go for a walk, take a yoga class, sign up for water aerobics, or you can even take your grandkids to the park. If you are new to exercising, start slow and don’t overdo it. Start out with moving a few minutes a day and then slowly add on more once you feel comfortable with the physical activity. Schedule your yearly check-ups on time and listen to your body. If you notice something is off, call up your doctor or visit a local clinic. Do not ignore a health issue. As we age, we experience a lot of loss and pain in our lives. It is important to focus on the good things in your life and all that you are thankful for. Make it a priority to spend time with your family and friends. According the the Alzheimer’s Foundation, social connections and keeping mentally active might help to cognitive decline and Alzheimer’s. Meet up with an old friend for coffee, go to the movies with your kids, or meet up with your neighbor for a walk around the neighborhood. Facebook is also a great way to connect with friends that you haven’t spoken to in a while! No better time than now to start checking things off your bucket list! Sign up for that cooking class you’ve always wanted to try or take a calligraphy class. Eat nutrient rich foods such as vegetables, fruits, fish and whole grains. Try to avoid processed foods and foods that are rich in sugar or sodium. Eating a healthy diet will also make you feel better. Make sure to add some Superfoods into your diet. Challenge your mind each and every day! Crossword puzzles and Sudoku are great brain teaser. Learning something new is also a great way to keep your brain sharp. Learn a new language, how to play an instrument or a new computer program! Getting enough sleep is critical for your health. Develop a nightly bedtime routine at the same time every night that includes creating a restful, dark and quiet environment and also shutting off your TV and cell phone. Reducing your caffeine intake in the afternoon/evening and eating an early dinner can also help to make sure you have a restful night’s sleep. To learn more about National Healthy Aging Month, visit Healthy Aging. 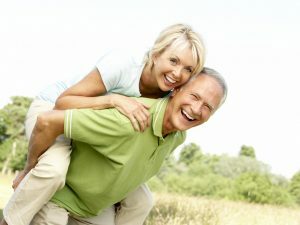 Aging in place, Happy, healthy, Healthy Aging, Healthy Aging Month. Bookmark.